Heard from Peter Tucker, President of the CTEX Group, www.ctex.com, that one of the more creative guys in the barter business, Todd Bol, is putting his talents to other uses now?as a cofounder of the Global Scholarship Alliance. GSA supplies nurses from the Philippines to fill the shortages in our country?s hospitals. When I last talked with Todd he was focused on assisting various American firms in the fulfillment of their offset commitments. Bol authored a very fine article in BarterNews issue #54 titled, ?Countertrade Creates Symbiotic Relationship Between Sellers and Buyers.? That material can be found in our Countertrade section, at the bottom of the page. Corporate barter company ICON International of Stamford (CT) has added Jim Meskauskas to their corporate team as VP of Online Media. Meskauskas, with a B.S. degree from UC Berkeley, writes regularly about the online advertising industry as a columnist for the ClickZ weekly ?Online Spin? column for MediaPost and MSN?s Agency Alliance. He started in media planning for Nestle and Burger King inn the mid-1990s, and opened Mediasmith?s New York office in 2000. His clients have also included Hormel, Amazon.com, Hotmail, Virgin Atlantic and TAP Pharmaceuticals. Last year Microsoft spent $1 billion to license intellectual property yet collected just one-tenth of that amount, $100 million, in royalties on their patented technologies. To control those costs the company has begun licensing its patented hardware technology. The firm is also using its patents to barter cross-licensing deals with Cisco, Siemens, and Toshiba to access technologies those vendors own and close the company intellectual property spending deficit. While France now attracts more visitors than any other nation, and China may predictably overtake France in another 15 years, today?s traffic at airports is another growing story. Some 4 billion passengers passed through the world?s airports last year, up 6% from 2004, according to industry body Airports Council International. That same year the world?s top five busiest passenger airports were Atlanta, Chicago?s O?Hare, London?s Heathrow, Tokyo?s Hanada and Los Angeles International. Moving passengers is one thing...moving cargo is another. And among the world?s top 10 container ports only one American city is listed?Los Angeles/Long Beach at #5. Singapore is #1, followed by Hong Kong, Shanghai, and Shenzhen (China). The Caribbean not only is the most popular cruise destination but it?s where most first-time cruisers tend to sail. However, memories of last year?s brutal hurricane season along with concerns about cruise safety?due to some bizarre cruise-ship incidents recently?have spooked travelers. International Monetary Systems (OTCBB:INLM) has drawn $565,000 from its recent funding commitment of $1.2 million. CEO Don Mardak used the funds for the company?s most recent acquisition, Trade Exchange of the Rockies. For more information go to www.internationalmonetary.com. New prospects for trade exchanges?new business startups?in the U.S. numbered 611,000 in 2005, according to the Kauffman Foundation in Kansas City (MO). Additionally, the Census Bureau reports that among small businesses in the U.S. (which typically are members of a trade exchange) 18.6 million are without outside employees, 3.9 million have fewer than five employees, and 1.4 million have six to nine employees. The National Association of Trade Exchanges (NATE) is offering an early 20% discount rate, if payment is made by April 30, for its upcoming Toronto 2006 convention. The event is scheduled for August 10-12, at the Delta Chelsea Hotel. For details on discounts and online registration check out www.nate.org. Michael Touma, Managing Director for Business Barter Exchange (BBX), reports that their stock hit an all time high on April 11, at 30-cents per share. The company has also lodged a prospectus with the Australian Securities and Investment Commission to raise substantial income for the BBX Property Investment Fund. For more information see www.ebbx.com. Some of the most prestigious ski areas in the world are now part of the International Monetary Systems growing barter system, as CEO Don Mardak has acquired the Trade Exchange of the Rockies? (TER) assets and client base. As the firm?s eighth barter company acquisition in the past twelve months, TER was purchased for $720,000, including $500,000 cash, a $100,000 promissory note, and $120,000 in IMS stock. TER, founded and operated by Bill Stein and his staff, built a strong client base of 600 members in a highly strategic vacation venue. Its ski resort accommodations in Denver and the surrounding areas of Vail, Beaver Creek, Aspen, and Steamboat Springs will subsequently become an integral part of the IMS network. IMS now serves 9,700 clients in 35 U.S. markets. Mardak says the acquisition is another step toward his goal of creating a ?coast-to-coast bartering system that will have a true impact on the economy.? 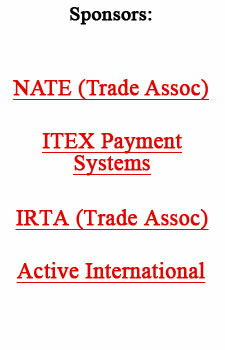 IMS is a recognized member of the National Association of Trade Exchanges (NATE) and the International Reciprocal Trade Association (IRTA). For more information go to www.internationalmonetary.com. TeleTrade?s First Quarter Trading Volume Up 24%! Gary Lasater, CEO of TeleTrade International and eValues, announced the TTi?s international service center for independent trade exchanges saw a healthy increase of 24% in trading volume in the first quarter of 2006 versus first quarter 2005. Combined trade activity for 2006 was $13,903,425 versus $11,219,691 for 2005. According to Lasater, total internet activity since 1999 when TTi took its technology online now exceeds $376 million. The eValues system is designed for independent trade exchanges, and undergoes continual enhancements by a full-time staff. For more information see www.evalues.net. One of the hottest areas of the advertising arena these days is as far away from the glamour of the Internet as you can get: billboards. There are several reasons why this billboard growth is occurring. Primarily they are not facing the same pressure from the Internet, or technology, as are other forms of advertising. There is no ?mute? button, no ?off? switch. You can?t change the channel. Actually technology is an ally, as digital displays eliminate the biggest disadvantage to outdoor media right now...the old vinyl billboards that change every couple of weeks or even months. Selected billboard advertising is available on trade around the country. And one trade exchange, Ric Zampatti?s The Barter Company in Atlanta (GA), has actual ownership of a billboard company. In March, we looked at Arbitron and Clear Channel Communication?s efforts to more effectively measure the $20 billion-a-year radio audience. This week we look at measuring the value of in-store media and other point-of-purchasing advertising?a $19.3 billion market, according to trade organization Point of Purchase Advertising International. Madison Avenue is putting more resources into measuring the effectiveness of in-store marketing options with the intent of providing more sophisticated evaluation (of consumers attention) for their clients. For example, newly formed MEC Retail will specialize in tracking in-store marketing?s impact. MEC?s services encompass helping advertisers decide which stores are most suitable for promotions, and compiling data on both the demographics of shoppers and foot traffic at individual outlets. As the effectiveness of measuring and evaluating in-store marketing efforts grow, expect to see retailers competing aggressively with mainstream media for ad dollars. Network TV will be seen in 1,300 supermarkets nationally as CBS has signed an exclusive deal with SignStorey (an in-store services firm) to run customized entertainment-features on supermarket TV sets. CBS will provide original-content segments from CBS Entertainment, CBS News, CBS Sports, and sisters CBS Paramount Television and King World. Programming will begin June 1 on SignStorey?s 42? digital screens in perimeter departments (such as produce and deli) at Albertsons, Jewel Stores, Shaws, Star Markets, Acme, Price Chopper, and Pathmark. CBS also provides content to American Airlines and Royal Caribbean Cruise lines for their on-board TV channels. More and more U.S. families are opting for a self-described schizophrenic existence, which revolves around living in two or more homes at a time. The term ?splitter? is used to differentiate an emerging profile of second-home owners from the more traditional ?snowbirds? who tend to divide their time seasonally. It is estimated by the National Association of Realtors that there are about 44 million second homes, about 7 million private vacation homes, and 37 million investment units. As a result of a revival of interest in timeshares and the creation of so-called fractional ownership of vacation properties, some homeowners even have a third place. Such changes, coupled with the fact that one-fifth of all households take home 50% of all the money in the U.S., have the potential to move multi-home ownership beyond the confines of the super rich and into the ranks of the ?economically comfortable.? The biggest driver of third-home ownership has been the record-low mortgage-interest rates, coupled with a growing affinity for real estate as a long term investment. Baby-boomers who are not only in their peak earning years, but also flush with equity from their primary residences (purchased decades ago), are looking for a place to put it. Technology plays a role too, as expanded air routes have put more vacation destinations within reach and telecommuting makes it possible to stretch regular weekends into three- and four-day weekends. The Urban Land Institute in Washington (DC) questions whether the third home niche will take hold on a long term basis, because the federal tax structure only permits deducting mortgage interest on homes No. 1 and No. 2 if they?re strictly for private use. The expectation is that fewer people will be willing to pay full freight for a third house.